Hello my friends! Winter is in full swing and just about the end of January I am always ready to move on to spring. 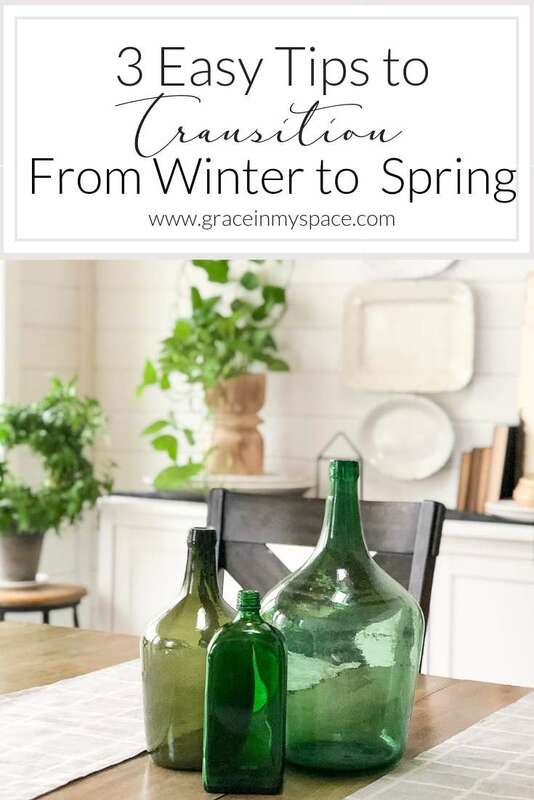 So today I’m talking about three simple ways to take your dining room decor ideas from winter into spring! 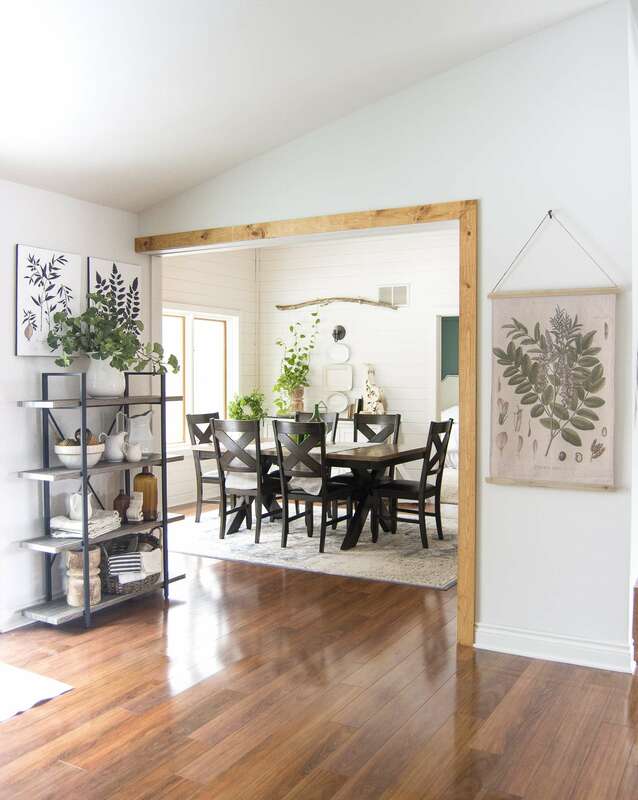 Today we are talking about the dining room specifically, however these easy tips can be applied to any room in your home! It’s almost too easy to be considered any kind of design strategy, but those are the kind of tips I love! Ones that can be applied no matter your style, budget, or comfort level with design! If you read my post on how I created this vertical garden, then you know that I love how plants brighten up any room in the house! Winter is so bland outdoors so I love the way bringing indoor plants in ushers life into a home. The bonus comes in when they seamlessly blend into your spring decor once you’re ready to transition! On the blog, you can also see the different ways I’ve used this branch in my decor! For Christmas it was a completely different feel! Winter decor often feels blah to those who love color. 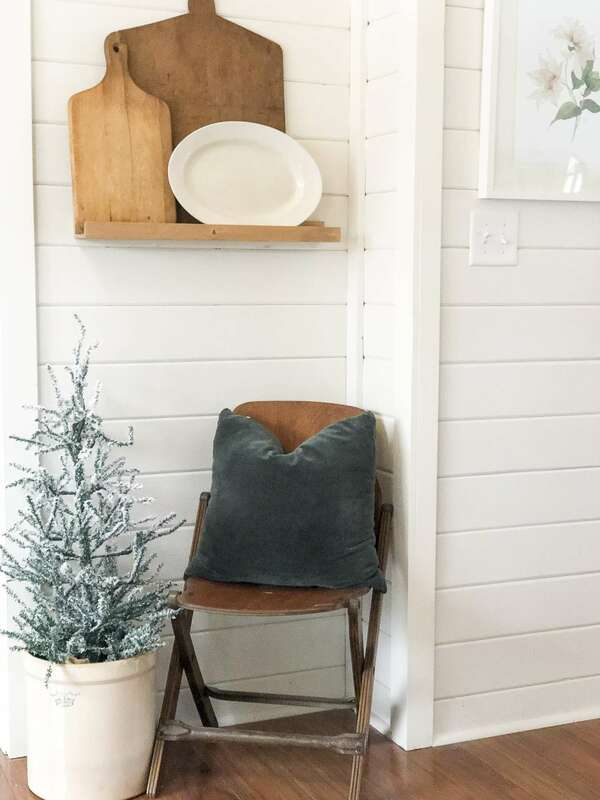 However, keeping your base decor neutral in the winter allows you to add pops of color when you’re ready for spring to take over! This is a fun way to change up your dining room decor without buying all new each season! 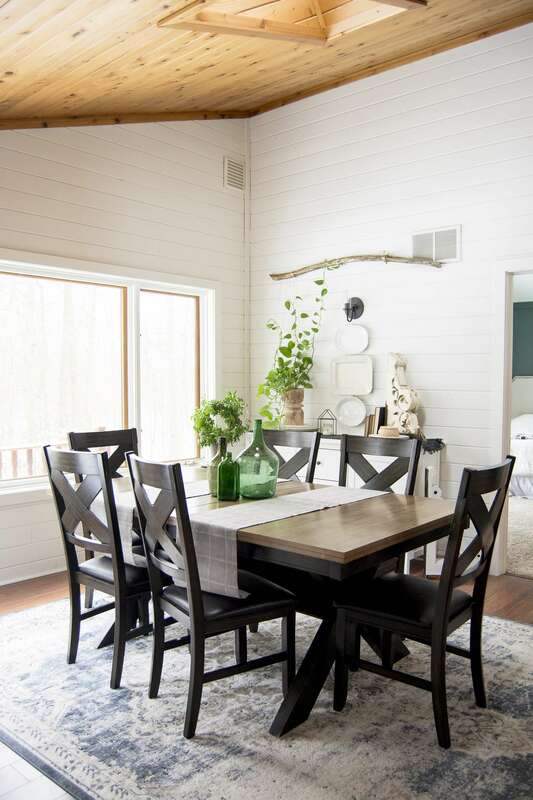 My favorite neutrals to use for easy dining room decor ideas include neutral table linens, dishes, and architectural pieces. 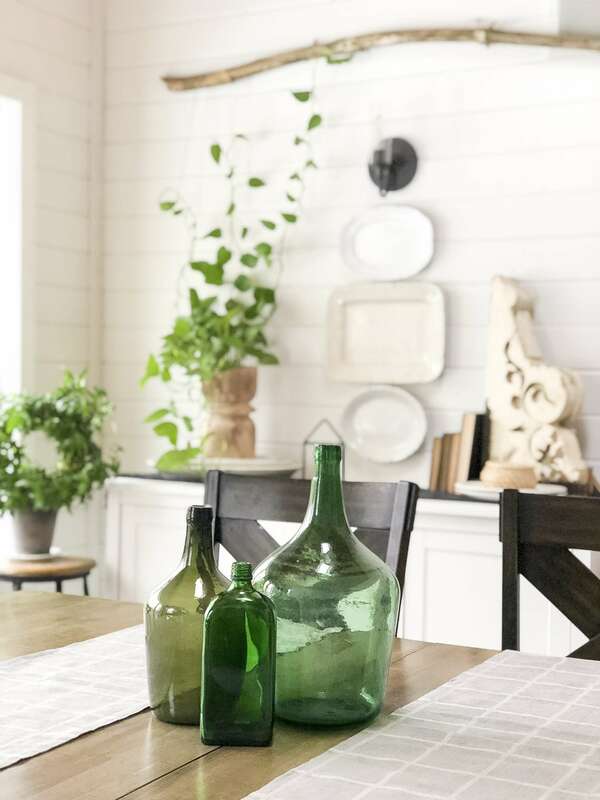 Once you’ve started with these base neutrals you can then add statement pieces like these green glass bottles for that extra pizzazz. Notice that nothing else in the room changed. The buffet is still the same, the linens work for both winter and spring, but the addition of the bottles make it feel so much more like warm weather is on the way! My third tip for easy dining room decor ideas that will transition from winter into spring is to use basic vessels! Honestly, this tip can actually be applied to every season! Using basic vessels allows you to keep the same vase, bowl, or basket but swap out what is inside of it for each season. For example, this vintage crock holds a spindly pine for winter decor; however, in the spring I will swap that out for a fern or other spring plant. Similarly, my vintage ironstone vase holds winter greens currently but I cannot wait to fill it with dozens of tulips! 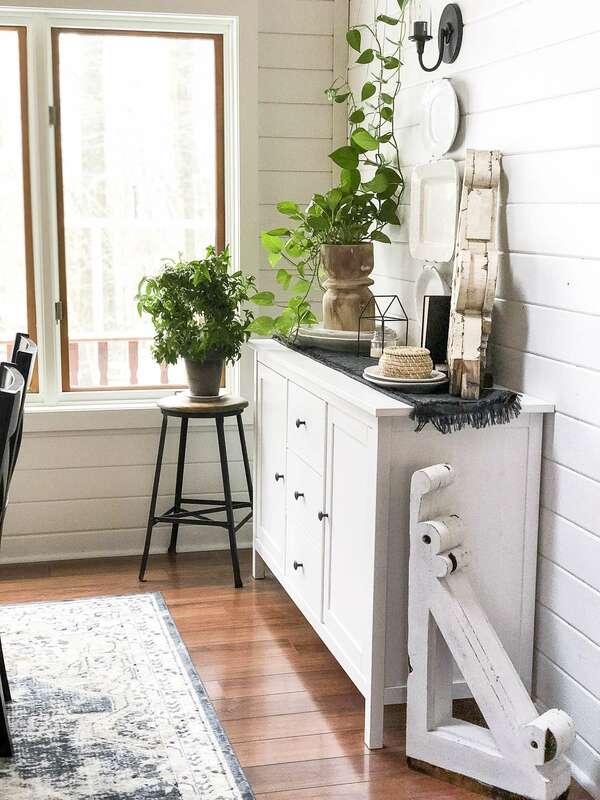 I hope these three tips have been helpful to you as you consider the transition to spring decor! 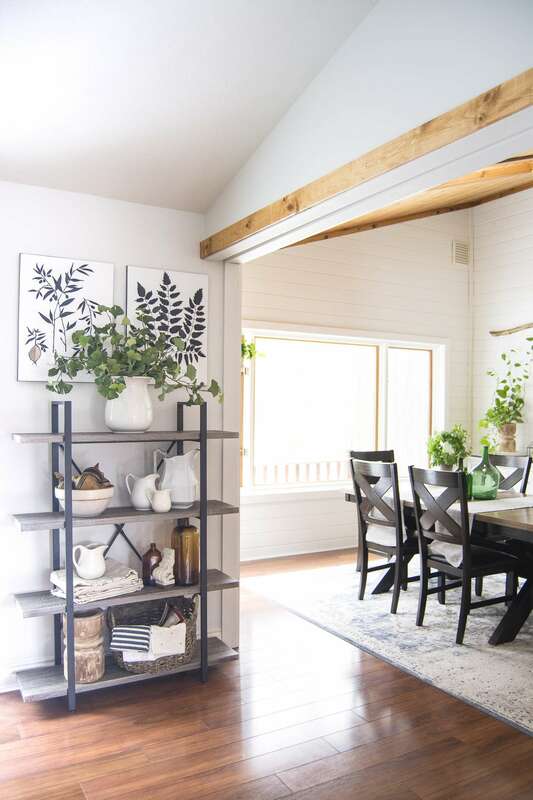 My dining room is so simple to change because I use these simple design tips to help guide me through the seasons. I’m itching to bring out all my spring decor and can’t wait to decorate this house for the first time for one of my favorite seasons! When do you like to make the switch to spring? I’d love to hear your favorite ways to welcome in warmer weather as we watch nature come back to life! Self Care: What Does the Bible Say? It is beautiful! I am looking for a dinning set and I just love yours! Would you please share the link. Thanks! Thank you! Unfortunately my dining table was from a local small shop that has since closed. I’m sorry!